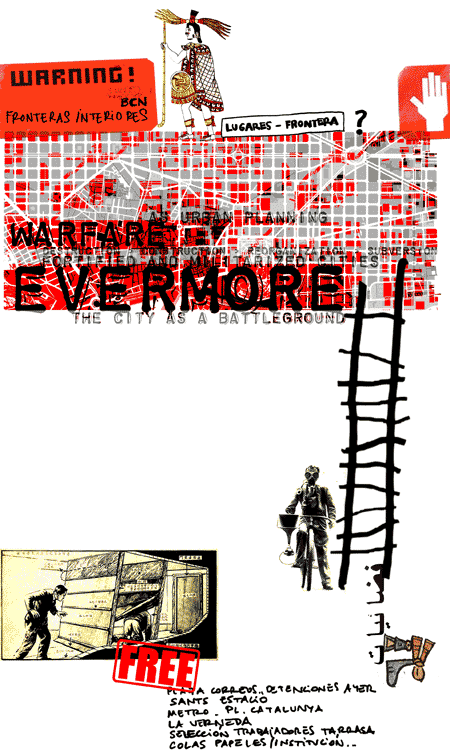 Weizman’s project builds upon an impressive body of research and practice, which initially focused on the relationship between the theory and practice of warfare in the cities and settlement camps of Palestine, where the Israeli military has retooled itself to deal with guerrilla combat in dense urban situations. Based on extensive interviews with military commanders and strategists, as well as soldiers, guerrilla fighters, and civilians on both sides of this protracted conflict, Weizman's recent work analyzed the military's use of critical theory as an analogue to its use (and misuse) in architecture and urbanism. His proposal looks at the way contemporary warfare increasingly plays itself out within real as well as imaginary urban settings, through the destruction, construction, reorganization, and subversion of space, to show that the urban environment is understood by military strategists today not simply as the backdrop for conflict, nor as its mere consequence, but as a dynamic field locked in a feedback-based relationship with the diverse forces operating within it. Driving Weizman's research is a commitment to human rights in a world of evermore fortified and militarized cities. The Stirling Lecture will focus on the way Israeli, American, and British militaries, as well as NATO forces, are currently conceptualizing and operating within the urban domain. As urban warfare has come to resemble urban planning, military training programs have instituted theoretical research centres to study the complexity of cities, allowing the battleground to be reshaped to meet strategic objectives. The ultimate aim of Weizman's research is to deepen and extend our empirical knowledge of the theoretical framework contemporary militaries consider essential to the development of strategic policy and tactical operations, in order to sharpen potential critiques of these operations. An important component is Weizman's exploration of the history of strategic urban warfare, since many of the tactics celebrated as radically “new” have in fact been part and parcel of military operations in cities throughout history. >subtopia. a field guide to military urbanism.